On Monday morning, there was only one way left to save the Court of Appeals and a few hours with which to do it. Just two days earlier, Democratic Gov. Roy Cooper vetoed House Bill 239, which would reduce the state’s appellate court from 15 judges to 12. It was expected that the Republican-led General Assembly would override that veto as soon as they could, despite a lot of opposition from both sides of the aisle. At 9:30 that morning, McCullough, a 14-year veteran on the Court of Appeals and a registered Republican, tendered his resignation. He was a little over a month away from mandatory retirement. In North Carolina, judges must retire at the age of 72. 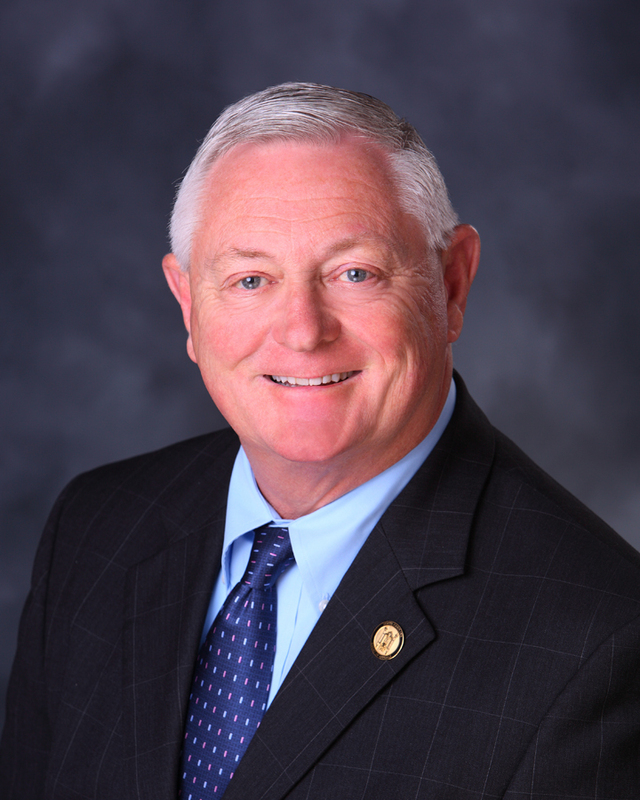 If HB 239 had been law, McCullough’s retirement would have meant the elimination of his seat, or, by his calculation, about 200 cases that would go unheard this year. “I thought that was a heavy price to pay for the elimination of a seat,” he said. He may have won the battle, but he didn’t win the war. The legislature voted Wednesday night to override the Governor’s veto of HB 239, despite McCullough’s protest. Democrat, to replace McCullough – but there will be more chances for the elimination of seats in the next two years. Judges Robert Hunter Jr. and Anne Marie Calabria face mandatory retirement in 2019. However, Calabria is up for reelection in 2018, and McCullough said he can’t imagine she will run with only nine months to serve before she turns 72 and has to retire. HB 239 says that a seat on the court will be abolished only when it becomes vacant prior to a judge’s term expiring due to “death, resignation, retirement, impeachment or removal.” This means there’s a loophole if Calabria chooses not to run for reelection (she has not yet said if she will or won’t), and the 15 judges would remain until Hunter’s retirement – in which case he could follow McCullough’s lead if he so chose. But there is also legislation pending that would limit Cooper’s judicial appointment power, so by 2019, Hunter’s retirement or resignation could be a moot point. And HB 239 doesn’t just affect the makeup of the appellate bench; it takes a complicated caseload from the Court of Appeals and shifts the work to justices on the state Supreme Court. House Democrats pleaded with Republicans Wednesday night to be mindful of that provision. Some of the cases being moved to the Supreme Court involve juveniles and termination of parental rights, and the bill could dramatically affect children. Rep. Graig Meyer (D-Durham, Orange) gave an emotional account of the process his family went through to adopt his oldest daughter. He asked his peers not to override the Governor’s veto because it would create more delay for kids like his daughter. They didn’t listen and the House voted to override. The Senate followed suit later in the evening without any comment or discussion on the floor. “Not being able to achieve their stated goal, why would they continue to pursue this just to show they have to votes to do what we already know they have the votes to do?” asked McCullough. He recalled that during the administration of Republican Gov. Jim Martin the Democratic-led legislature didn’t try to impede his election of judicial officials. He said the Governor even appointed some good judges who were registered Democrats. McCullough said he had no idea who Cooper was going to appoint after he resigned. “The things that finally motivated me in the end were I didn’t want my legacy to be the elimination of the seat and the integrity of my court and its ability to render justice for the people of North Carolina,” he said, adding that the Governor’s appointments were his choice to make. He couldn’t take a position on endorsing Arrowood, but said he’d worked with him in the past and that he was a competent judge and lawyer, and he wished him the best. Arrowood, who is openly gay, was working as an attorney at James, McElroy & Diehl in Charlotte. 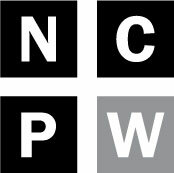 He is a North Carolina native who previously served on the Court of Appeals (2007 and 2008 after former Gov. Mike Easley appointed him) and as a Superior Court Judge. After law school, he served as a clerk for Judge Gerald Arnold at the state Court of Appeals, and he was a staff attorney and head of the central staff for the Court. He said he couldn’t comment on HB 239. 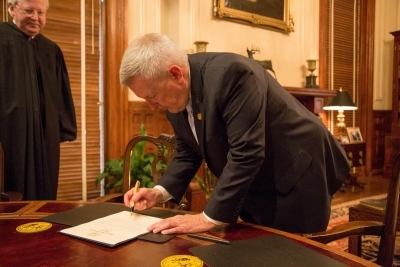 Before the bill was introduced, he wrote a letter to Cooper expressing interest in McCullough’s seat and interviewed with the Governor’s legal counsel. “When the General Assembly started the bill to shrink the size of the court, to do away with the seat, I thought that was probably the end of the opportunity,” Arrowood said. And that was that, until Sunday, when Cooper called him and asked if he was still interested. He encouraged voters to read his record as an indication for what to expect in the future. He also discussed living in multiple parts of the state, big and small, growing up. “My roots run deep in various parts of North Carolina, so I think I understand the citizens of the state in a wide variety of places, in the rural areas, in small town North Carolina and in our state’s largest city,” he said. During a press conference Monday announcing Arrowood’s appointment, Cooper commended McCullough for his career and thanked him for resigning to send a message to lawmakers, the courts and North Carolinians. It wasn’t long before his “message” was picked up nationally. McCullough said the response to his resignation has been far more than he ever expected – at one point, he was trending on Facebook. “It has really been overwhelming to me to see the response,” he said. All of his colleagues called and thanked him for what he’d done, and McCullough said he’d heard from many others by various forms of communications, including former Gov. Easley and Senior U.S. District Court Judge William Earl Britt, in the Eastern District of North Carolina. Even random people, “citizens on the street, people that I didn’t even expect were involved in politics or know that I was involved in politics,” have made a point to stop and thank the former judge. 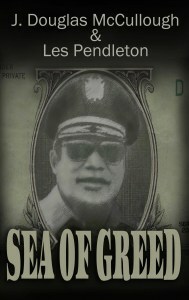 Sea of Greed is about how McCullough, the U.S. Attorney 25 years ago, unraveled the Cayman Island cartel, revealing never-before-known facts of the case that began on the docks of Beaufort when authorities found a shrimp boat full of marijuana. “I was the person who pushed that investigation forward in the face of some obstacles from other people,” he said. McCullough, who also served as a Colonel in the U.S. Marine Corps Reserves, is proud of the book and said his wife has encouraged him to write another in his retirement. His plan for the moment includes working on mediations and hopefully serving as an emergency judge – although there is also a bill pending that would do away with emergency judges. “There’s nothing I can do about that if they eliminate them, because I can’t resign anymore,” McCullough joked. On a more serious note, he expressed some worry about the General Assembly’s lack of consultation with the courts on bills that change the judiciary. “I think it’s just ill thought out when you rush bills into the legislature to change the way the judiciary is doing business and to change the composition of the courts and that type of thing without having statistical information that’s correct, without understanding exactly how courts go about doing their business,” he said.